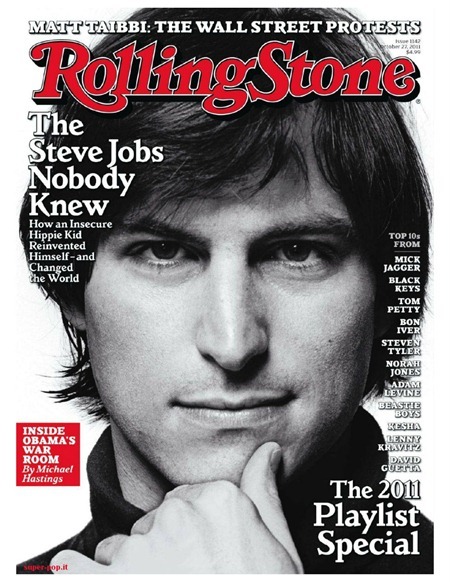 If you haven’t heard by now that Steve Jobs has passed then you must be living under a rock! What you may not have heard or read is Mona Simpson’s, Steve Jobs’ sister, moving eulogy. Its incredible. That’s pretty much what sums it up. I don’t really know how to break this down any further but bear with me as I try. Mona spoke of her relationship with her brother from the time they found each other until the moment he passed. They were separated from each other but that didn’t stop Steve from finding her and that didn’t effect Steve’s relationship with her from then on. She became great friends with Steve and developed a relationship that one would expect to see in a heart-felt novel, which was fitting for the writer. She expressed how much Steve cared about his passions; love, family and beauty. See here’s the thing. I’ve been around or used Apple products since I was a kid. My brother’s first computer was an Apple bought by my grandfather and I remember playing Mario Teaches Typing. But I never really owned or took interest in an Apple product until October of 2010 when I bought my first iPhone 4 at the mall in Kuwait City. Around that same time, I had switched my U.S. carrier from T-Mobile, who I am convinced has the worst customer service, to AT&T and picked up a U.S. locked iPhone 4 as well. The iPhone, then, never really did it for me. I always thought that it was a great device but I felt it lacked something for me. Since then I have gone back to numerous Android phones but I am beginning to enjoy and respect what Apple is doing. Couple that with an understanding of who Steve Jobs really was and I am appreciating it even more. The attention to detail, the desire to provide something that works, and providing these devices in a very classic, beautiful design is refreshing. Beyond explanation, Steve Jobs has had an effect on everyone. You may not realize it, and some of you may not even care, but it is true. You may not use an Apple device but the device you use was probably inspired in some way by Apple. I hope we continue to see Steve’s inspiration long after he is gone and I hope that many people can continue to appreciate him for the lasting effect that he has had on the computing and mobile industries. You can read the complete piece by Mona Simpson on NYTimes.